Man is made by God, in his image, for his glory. This truth, with all its implications, is the theme of Gresham Machen's popular presentation. 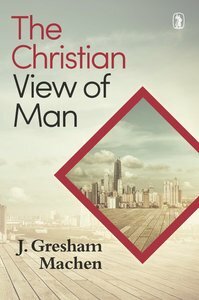 About "Christian View of Man"
J. Gresham Machen (1881-1937)) was a professor at Princeton Theological Seminary for twenty-three years before founding Westminster Theological Seminary in 1929. After graduating from Johns Hopkins University in 1901, Machen enrolled in Princeton Theological Seminary, where he earned both a master's in philosophy and a bachelor's in divinity. He is the author of Christianity and Liberalism and The Origin of Paul's Religion.